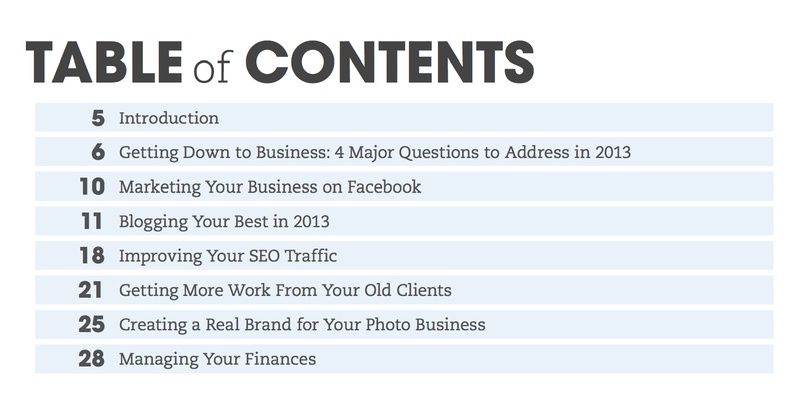 Want to get your photo business on track? 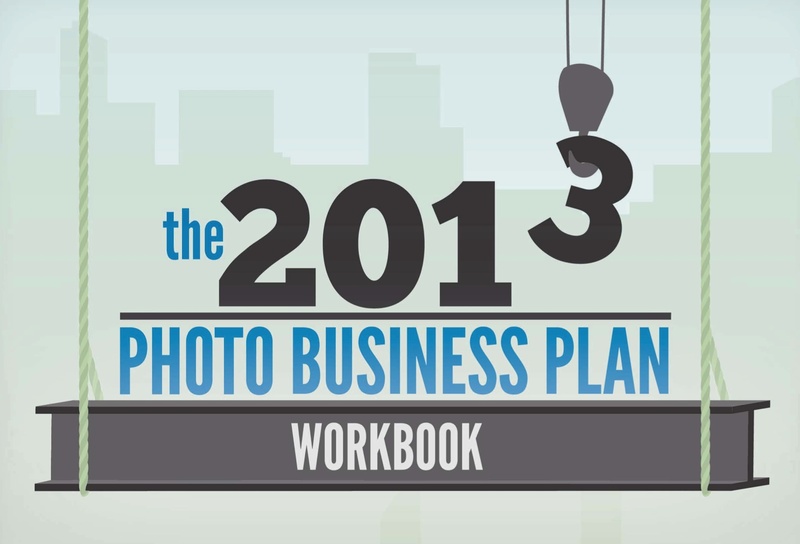 Then you might want to download the free The 2013 Photo Business Plan Workbook. Just click on the link, enter an email address, and PhotoShelter will send the PDF to you. You can easily peruse the content on your computer or iPad. The type renders too small for iPhone reading, but with GoodReader is quite serviceable on an iPad. 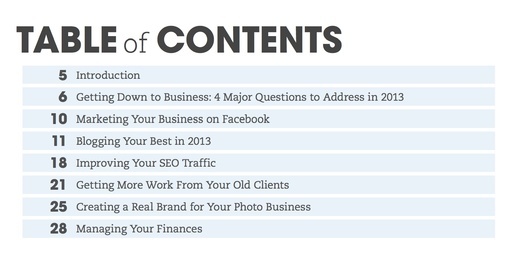 The topics cover brand building, social networking, SEO, and more. Lots of good information here for the freelance photographer trying to up his game.